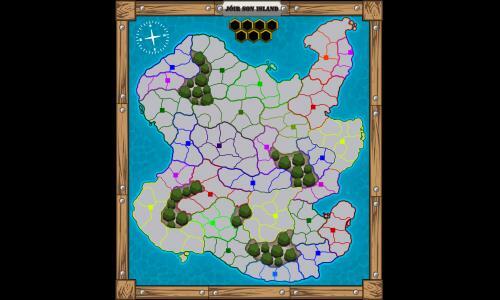 The Island of Jóir son is a strategic designed Island and is meant for 1v1 and 2v2 games. There are a few "Super Bonuses" for customization for the distribution phase to make certain parts of the map stronger. The "Center" Super Bonus is the only Super Bonus that is on default higher than 0. There is also "Coastline, BonusesWorth2, 3, 4, 5, 6"
The Art Style is made by Lionheart!!! He also made the overall Borders look nicer and less "bumpy". Thx to him!! This is my first map. Review by DanWL on 3/2/2019.